There’s nothing like Christmas! This time of year always makes me cherish home that much more. 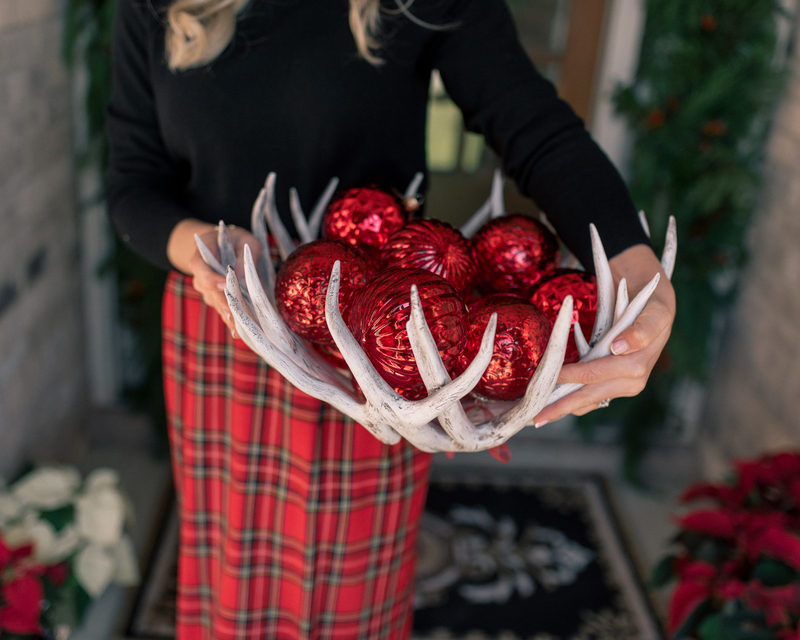 Maybe it’s because we get to bring out our favorite decorations and reminisce on the past, maybe it’s because it’s colder out so we get to spend more cozy nights cuddled up by the fire, or perhaps it’s all the time we get to spend with family and loved ones. Whatever it is, I love the joy that this season brings! 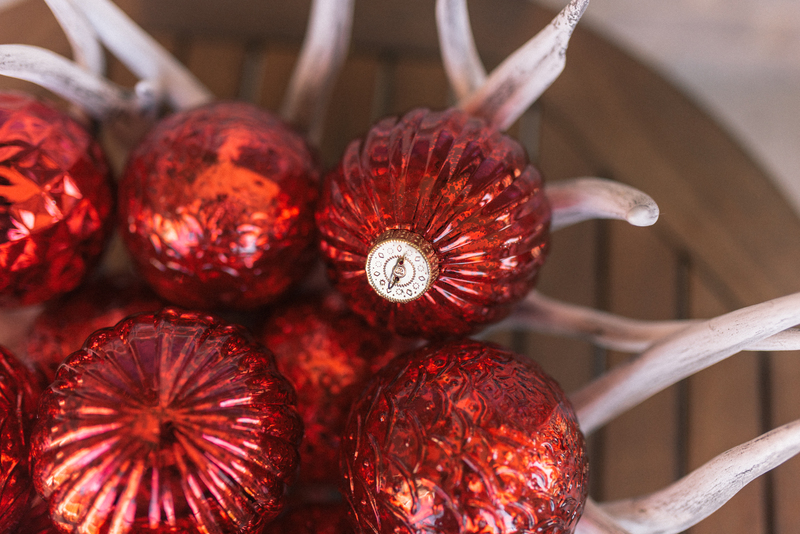 Speaking of home, I’m excited to share how I decorated ours this holiday season. When thinking of ideas, I had a clear vision of what I wanted to achieve. Especially for the exterior of our home! 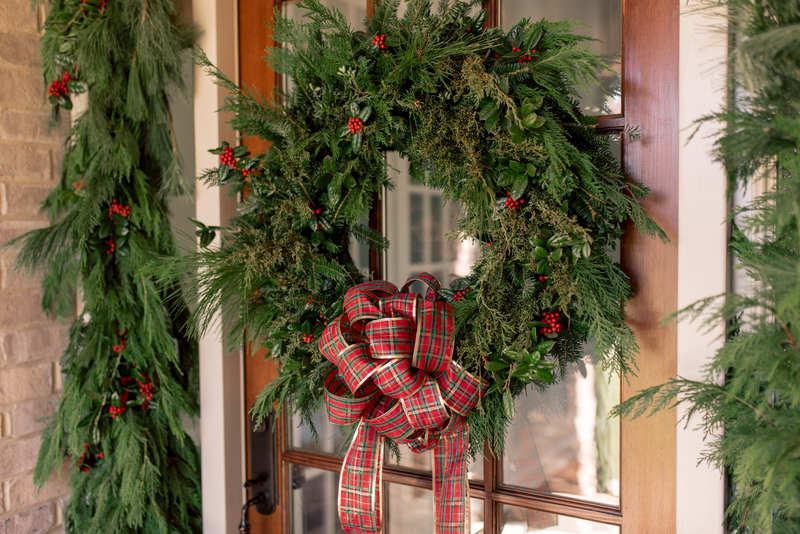 Traditional to the core, it’s chockfull of plaid, berries, garland a plenty and all the bright reds and greens! 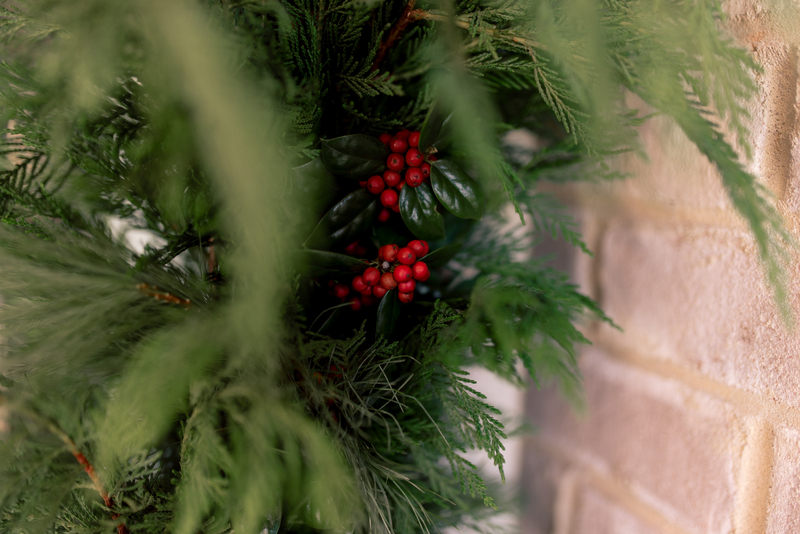 I was researching online how to make real wreaths when I came across this video on YouTube demonstrating how to take an artificial wreath and easily transform it using real greenery! It seemed much more affordable and easy to construct compared to that of a real wreath. So, I started by going to Hobby Lobby and picking up artificial wreaths and garland in 9ft. strands. Luckily I was able to collect the real greenery from the homes of family and friends. I filled 5-gallon buckets with cypress, white pine, cedar varieties, holly and traditional pine. 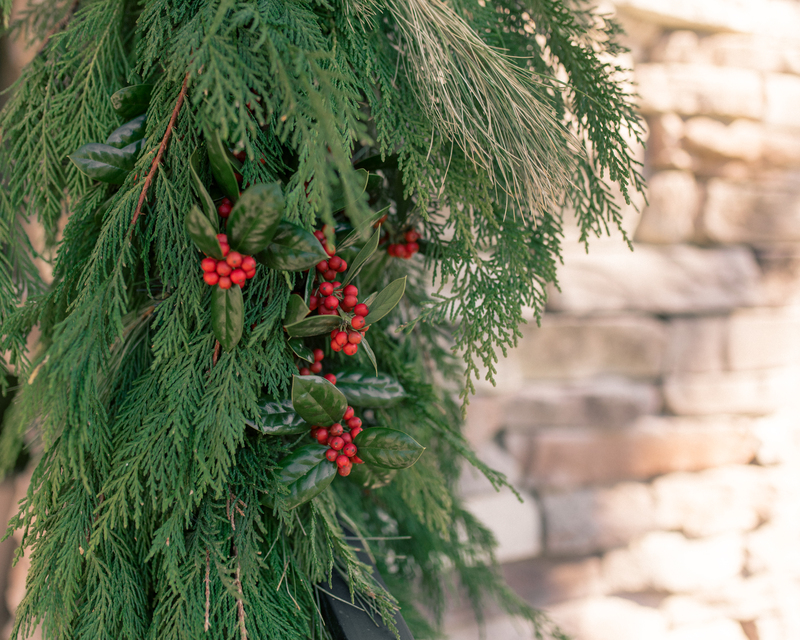 Check back next week for an in-depth tutorial on how to beef up artificial wreaths and garland using real greenery. You’ll be surprised how simple it is! 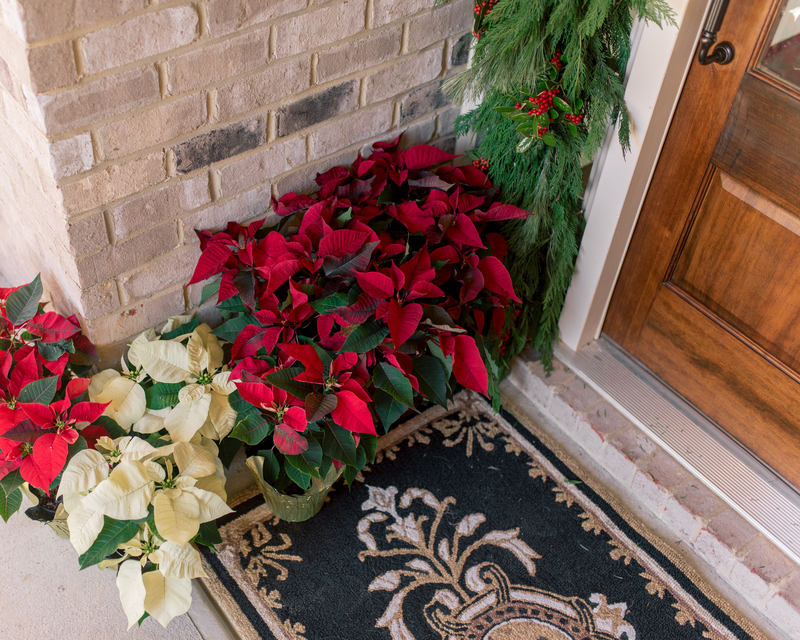 The front door and steps looked bare, so I clustered white and red poinsettias of varying heights to create dimension. I used clear suction cup hooks to hang the wreaths and garland on the windows and glass framing our door. The clear hooks are temporary and look tasteful from inside our home. For the stone, I hammered 8-penny nails in to the mortar between the pieces of stone. Not to worry, this tiny nail will not damage or crack the structure, nor leave large gaping holes. Hence the reason why I don’t recommend using masonry nails. To hang the garland, I wrapped green floral wire around the garland and then around the nailhead. 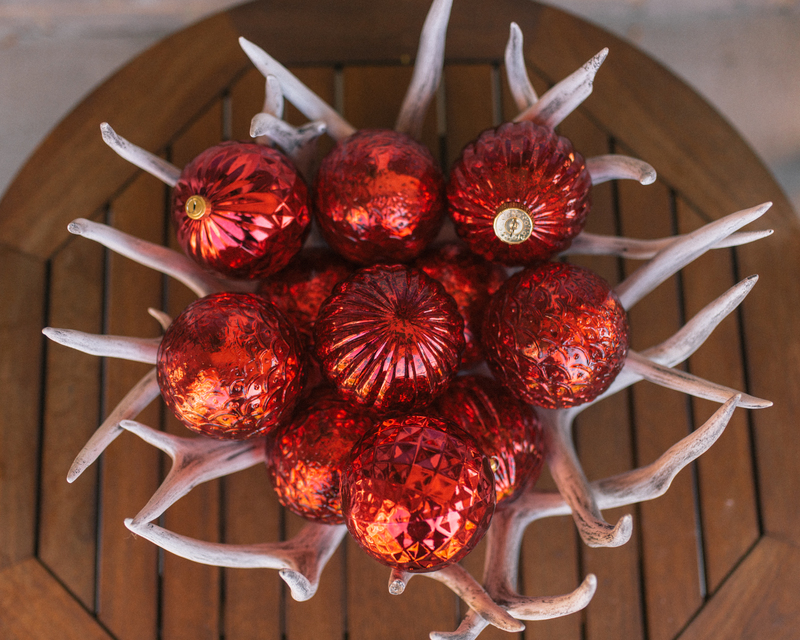 To liven up the outdoor furniture, I filled an antler bowl with red ornaments and added red velvet pillows. Justin’s mom gifted us this doormat last Christmas. It’s adds a simple, yet elegant touch! Every time I pull in the driveway and get a glimpse of our front porch, it makes me so happy! 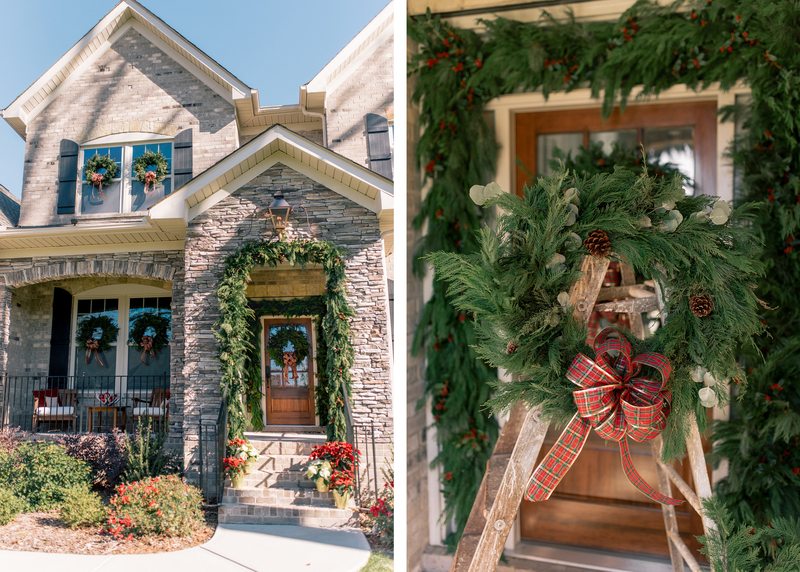 I’m hosting Christmas this year, so I wanted the exterior of our home to be warm and inviting! When it comes to finding inspiration I always take to Pinterest – make sure you’re following my account! 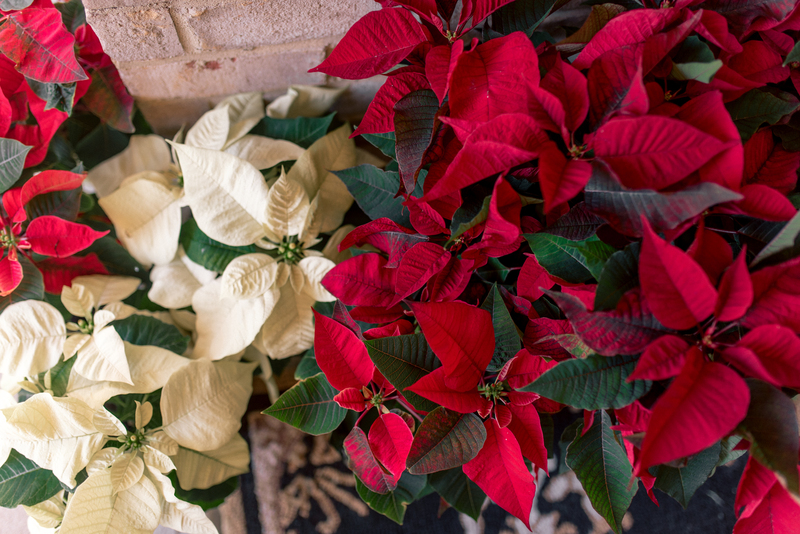 It is definitely beginning to look like Christmas at your place. 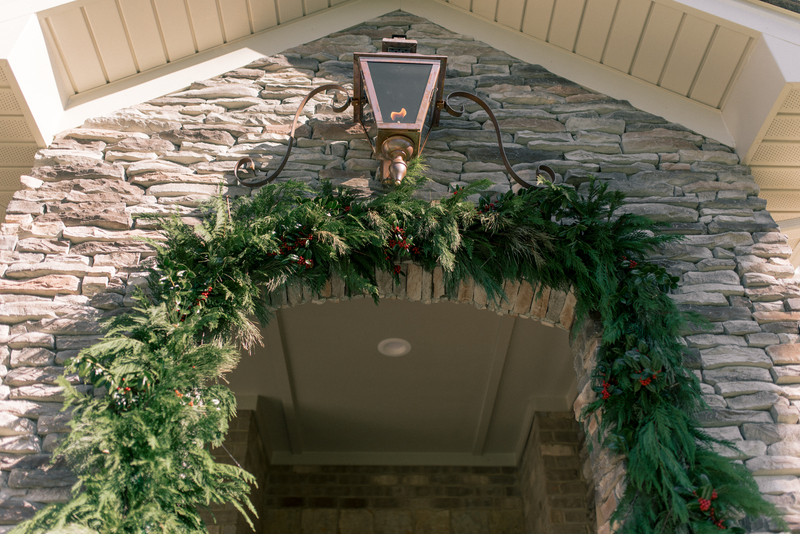 The garland on the stone arch and around the door is beautiful. Thank you for sponsoring this post! LOL!